WILDWOOD CREST – The Borough of Wildwood Crest is set to launch its updated website at the borough’s regular meeting of the Board of Commissioners on Wednesday, April 25, at 5:30 pm in the courtroom of Wildwood Crest Borough Hall at Sweetbriar Road and Pacific Avenue. 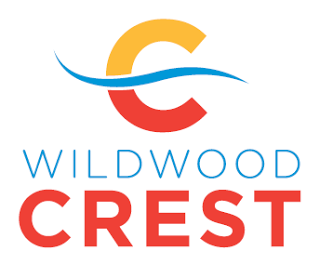 The updated website, located at the same URL, www.wildwoodcrest.org, features a new, cleaner look; easy-to-navigate pages; improved graphics; detailed information on all borough departments and commissions; special events and tourism information; and much more. The new website will also enable the public to register to receive email and/or text notifications of breaking news, weather and traffic alerts, special event information and more through the website. Following the launch of the updated website, the borough’s tourism and special events website, www.visitwildwoodcrest.com, will no longer be in use. Information previously located on that website will now be found at the www.wildwoodcrest.org site. Borough staff will have direct access to the updated website, allowing for frequent updates. The updated borough website will go live to the public immediately following the meeting. The updated site was created and designed by Square 1 Design, a website design, Internet marketing and web programming company located in Cape May County. “We are looking forward to introducing and launching this exciting new website,” said Wildwood Crest mayor Don Cabrera. “A team of borough staff members has been working diligently with the staff of Square 1 Design for more than six months on this project to help create the most efficient, up-to-date and user-friendly website as possible. For more information, contact the Borough of Wildwood Crest at 609-522-5176.